Yeah, you read that right. 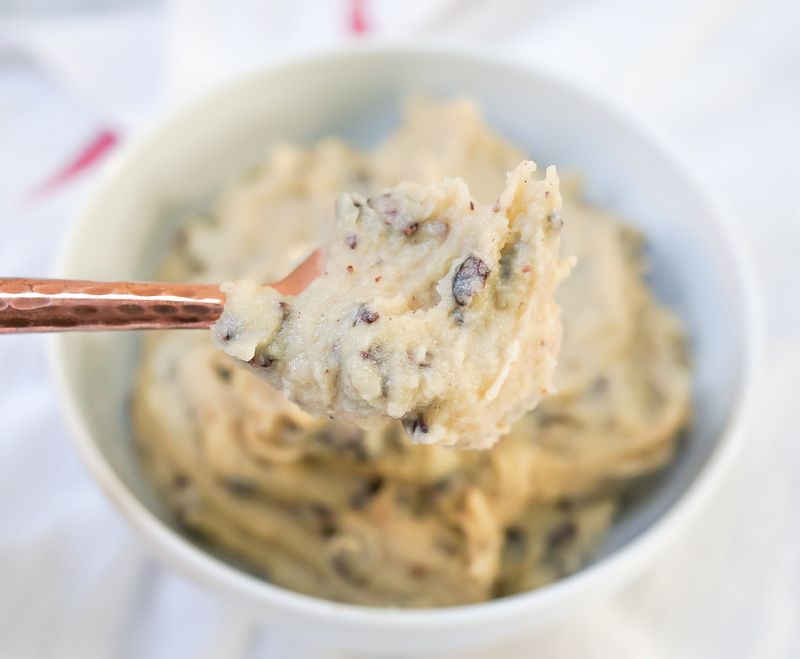 Healthy chocolate chip cookie dough. 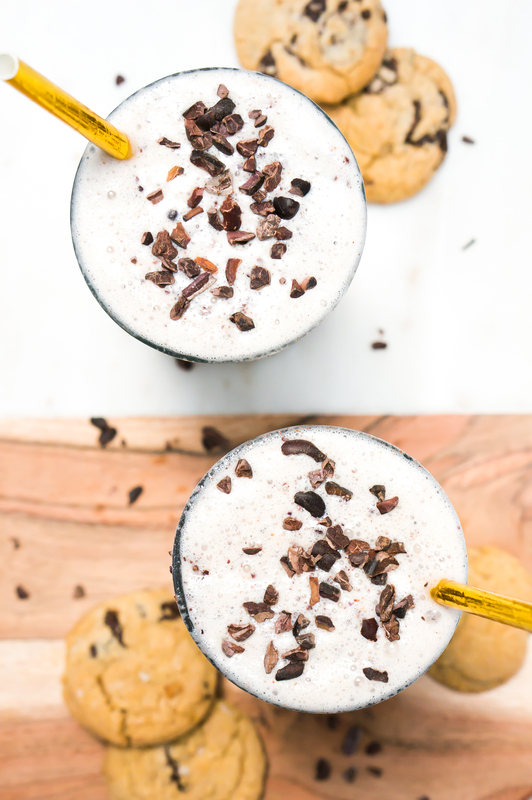 Scrumptious, gooey, vanilla-y with bursts of chocolate, cookie dough. 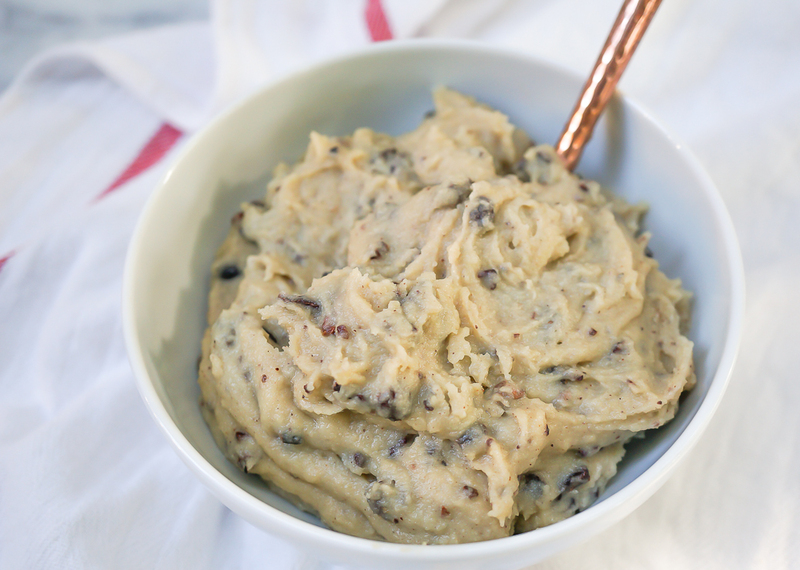 Let’s be real – while I’m not against chocolate chip cookies (in fact, I make a batch of my healthy ones every few weeks), I’ve always been a fan of their precursor – cookie dough. As a child, I could often be found eating directly from a tube of ready-made Tollhouse with a spoon (although my boyfriend informs me that these are maybe not the stories you share on the internet. Whatever. If you’re one of the few who DIDN’T do that, pat yourself on your very sad back). Now that I’m older (sigh), wiser (double sigh) and aware of all the nasties in traditional cookie dough (from the massive amount of preservatives and artificial flavors in the pre-made, tube kinds to the white flour and potentially salmonella filled eggs of the homemade kind), I decided something needed to be done if I was ever going to get back to the spoon-in-hand, cookie-dough-in-lap days of yore. 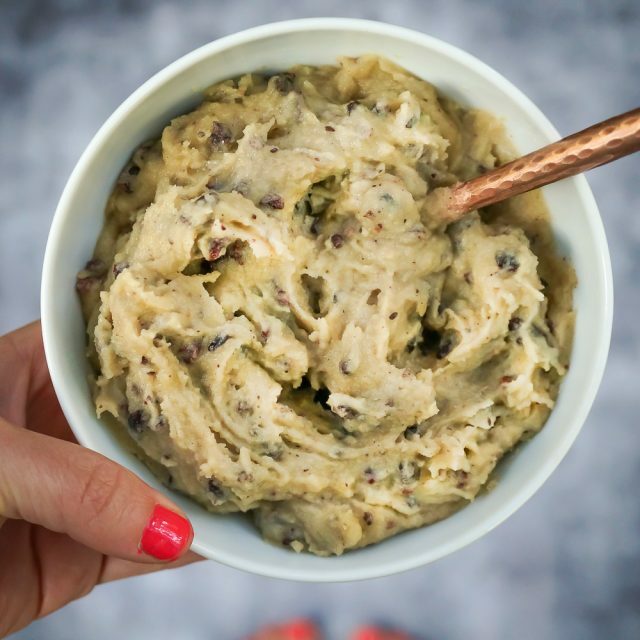 So I invented this – the healthy chocolate chip cookie dough that’s never meant to become cookies (think of it like a puppy staying a puppy forever). The cookie dough that’s egg free, gluten free, grain free, paleo-friendly, optionally vegan and refined sugar free. The cookie dough that tastes rich and decadent and delicious, but is good enough for you to eat any time of day. It keeps for 4 days in the fridge, but it retains its awesome texture in the freezer too, which is where I choose to store it, scooping out spoonfuls as the urge strikes me. Oh, yeah, and did I mention that it involves no fancy ingredients, and takes about 5 seconds to make? There’s that. I suppose I should let you get to it then? In a food processor, process all ingredients except for cacao nibs or chocolate, scraping down the sides, until very very smooth. You really want to go for quite awhile – 2 – 3 minutes at least. That’s key to getting the perfect texture. When it’s very smooth, let cool for a few minutes (if it has warmed at all) then add in cacao nibs or dark chocolate and pulse 4 – 5 times until well distributed but still chunky. Transfer to container of choice and eat with a spoon! Store in fridge for 4 – 5 days, or in freezer (my preference) for 6 months, eating spoonfuls when you get the urge! I really, REALLY love this ! Tastes better than the real thing ! Can you cook these as well? You can’t, but you can cook these! Hi There! AMAZING recipe. About how many serves does this make? Tastes very good but it was a little too soft. Next time I will mix liquid & dry sweeteners to make it less soft. But there will be a next time definitely! Beyond awesome, thank you!! Used maple syrup and it tastes so delicious!!? Wow this sounds amazing. How many bowls / portions does this recipe make? It makes about 2 cups, which I store in the freezer and eat by the spoonful when I need it! Have you ever tried to add this to homemade froyo or ice cream? If so, did it get gooey or retain some firmness? Also I do not care for cashews. Does this work the same with almonds maybe? 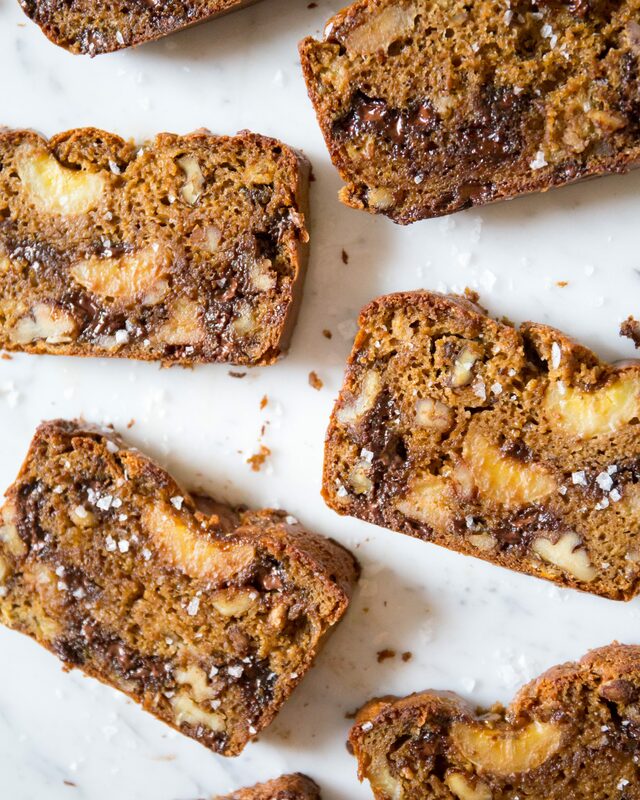 It should work with blanched almonds instead of cashews, although healthy baking is tricky and I never guarantee swaps. I have stirred this into ice cream and it worked great! These are amazing! My kids are excited about this dessert too. Love it!! Normal flour won’t work because of the gluten content (it’ll make it sticky). Can you do any other type of nut flour? can you cook the dough into biscuits? 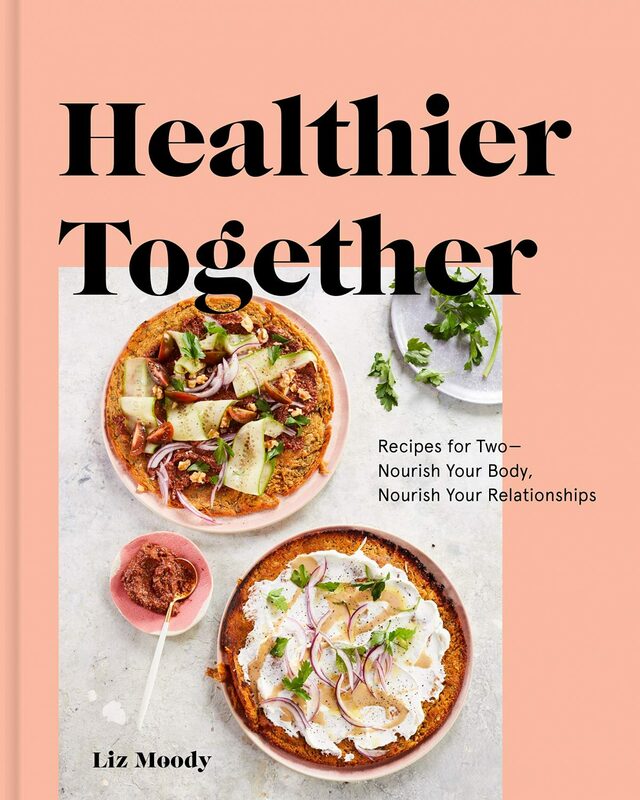 Reply to The 9 Best Healthy Comfort Food Recipes To Nourish Your Body And Soul | Your News On Time! So I’m deathly allergic to all nuts other than almonds, walnuts, and pistachios. Can I sub anything for the cashews? Blanched almonds – the kind with no skin – would work well! Just soak them as you would the cashews! I make one similar to this using walnuts. I don’t blanch at all. Just throw in processor and bam! Enjoy! This cookie dough is divine! I’ve tried a cookie dough made with chickpeas before and I just couldn’t get over the mental image that there were beans involved! 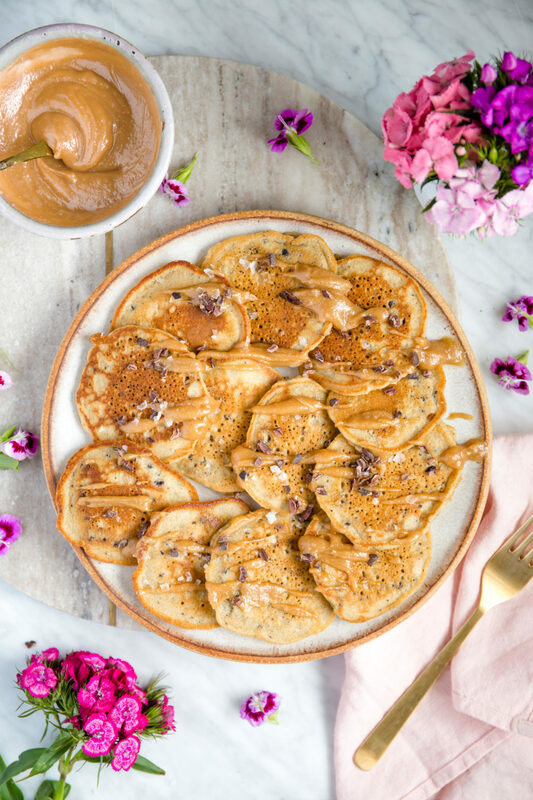 But using cashews as a base is perfect – you only taste cookie dough when all ingredients come together to create this loveliness. Good job and thank you! Aahhahah, Tammy, I’m totally on your same page. Chickpeas are great and all, but in my cookie dough?? No thank you! Made it, love it! Just a couple of spoonfuls satisfies my cravings, thank you for the recipe!! Thanks, Tracy! It’s one of my favorites!! WAUW! these taste amazing! Thank u for the recipe! Woot! Glad you loved them! Can I use roasted cashews vs raw? Hi, looks delicious! Question about a substitution. I’m allergic to nuts and coconut (not almonds and peanuts). Can I substitute almonds or peanuts for the cashews? YUM! This one is going on the list of things to try. Looks amazing!